We bring the show to your school! Available at the special price of $720 for a limited time! Players Theatre and Players Workshop are going on tour so you won’t need to leave your comfy classrooms! Just sit back and enjoy as we bring a half-hour of theatrical fun right to your school. 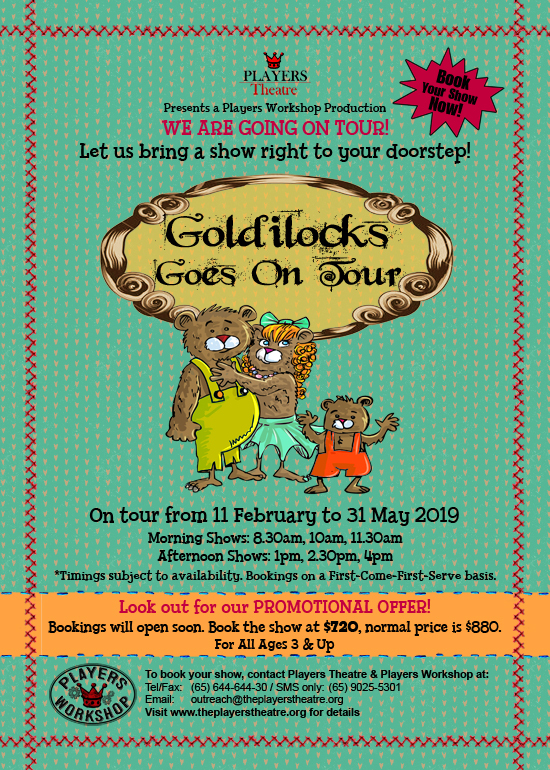 Goldilocks Goes On Tour can be performed in any school setting, from an individual classroom, to a dance or music studio, to the school’s hall or theatrette. We will do our best to meet the unique requirements of each school booking. Promotional offer of $720 will be available for a limited time. Bookings will open soon. Availability is very dynamic and bookings are handled on a first-come-first-serve basis. There is no maximum number of pax able to attend as long as the venue can seat all audience members comfortably. If the number of pax attending exceeds 100 persons, there is an $180 surcharge. 2.5m x 3m performance area. Enough seating space for the number of students attending. We will bring our own set, props, costumes and CD player without any mics. If the number of pax attending exceeds 100 persons and we determine that mics are needed, there is a $100 surcharge for the provision of mics. Exceptions can be made if the school can provide us with the necessary mics / sound system. In this case, there will not be any surcharge. If you require us to perform in a large or outdoor space (school hall, theatrette, void deck, ampitheatre etc, to be determined at our discretion), there is a $100 surcharge for the provision of mics. Exceptions can be made if the school can provide us with the necessary mics / sound system. In this case, there will not be any surcharge. Bookings are only confirmed when you receive a confirmation email from us. All POs should be issued to Players Workshop. Payments can be made by IFAAS, cheque, cash, GIRO, and bank transfer. 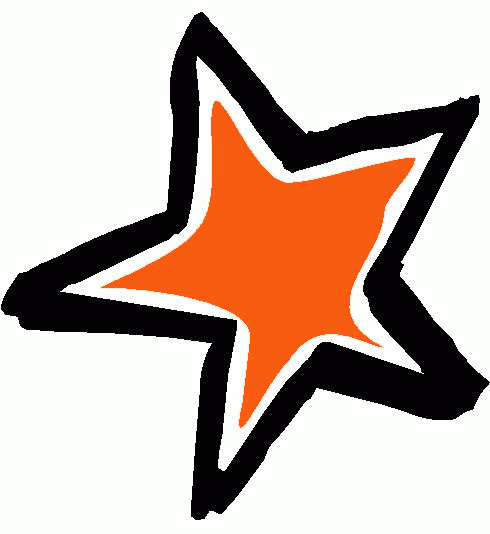 We can offer a 30 day credit term in our invoices and can also submit e-invoices if required. After confirmation, a cancellation fee of 50% of the show cost is applicable if cancellations are made less than 14 days from agreed upon show date. Do book early for Children’s Day and the year-end celebrations as demand is very high during these periods. We look forward to bringing our touring show right to your school! Perfect for school celebrations, Library Week, Children’s Day, Family Day or your year-end events!